Launched at the London Motor Show in October 1965, the DB6 was the next step in the natural evolution, following on from the DB4 and DB5 in terms of design. 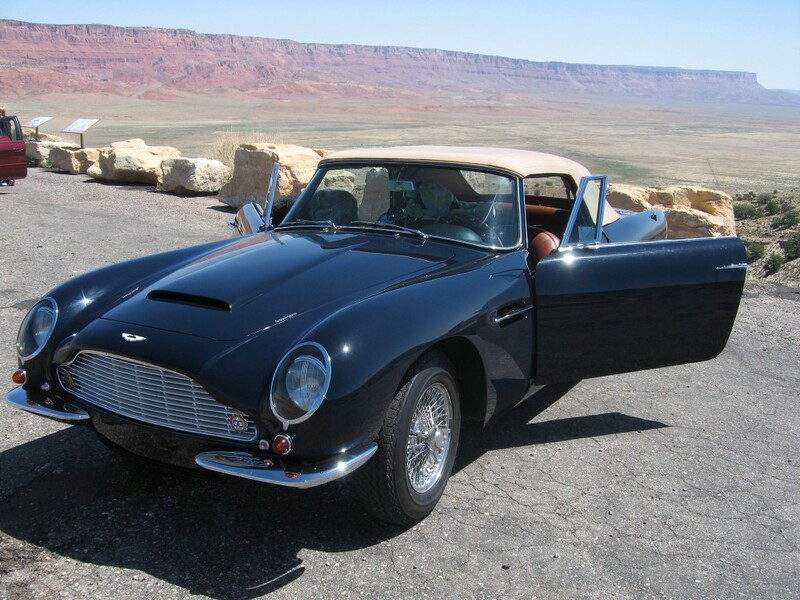 To create the DB6 Short Chassis Volante (often known as just the DB6 Volante), Aston Martin used the last remaining 37 DB5 chassis (shorter – 8’2″) between October 1965 and October 1966. Costing £4,194 new in convertible form, the DB6 was powered by a DOHC straight-six, 3995cc engine, producing 282 bhp, taking the car to a top speed of 148 mph and capable of doing 0-60 mph in 6.1 seconds. The DB6 was a highly fashionable car to be seen in; famous owners include HRH Price Charles, Paul McCartney, Mick Jagger, Twiggy and Peter Sellers. The car pictured above is one of only 12 left hand drive vehicles built and was delivered new to the U.S.A. and then to Barcelona, where it remained for many years. Since its restoration in 2006 it has completed many tours and will be displayed with 60 of the world’s most prestigious cars at the Palace of Holyroodhouse.